In his funny yet eye-opening talk, Mark Leruste draws on his experience of what it’s really like to quit your job to start your own business. Spoiler alert: if the one in three people who want to start a business knew what the life of an early-stage entrepreneur is really like, they might think again before kissing pay checks goodbye. 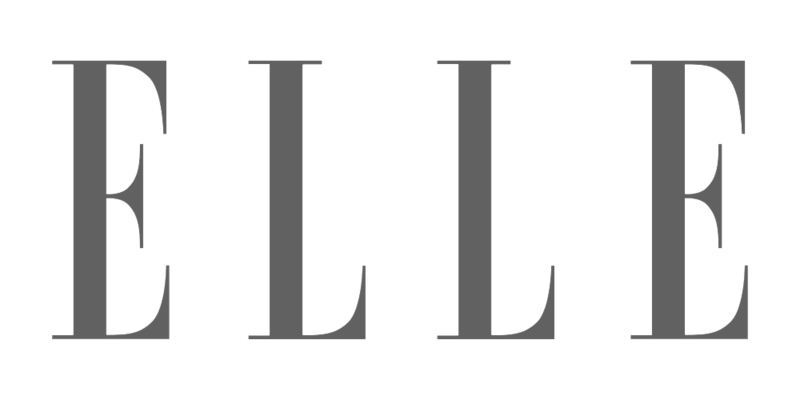 Sharing lessons learned from interviewing hundreds of guests on his podcast, The Unconventionalists, Mark explores what really lies behind the current surge for entrepreneurship and makes the case that, contrary to what social media would have us believe, there is much more to it than the hope for fame, fortune and glory. Having a sense of purpose is what it’s all about and it turns out that entrepreneurship is just one of the many ways you can achieve this. "Great job Mark! So funny *and* poignant." Sarah Knight, Best Selling Author & TEDx Speaker of "The Magic of Not Giving a F***"
Although this has yet to be officially confirmed, I may have become the very first TEDx speaker in the history of TED to take a selfie live on stage in front of 500 people...! 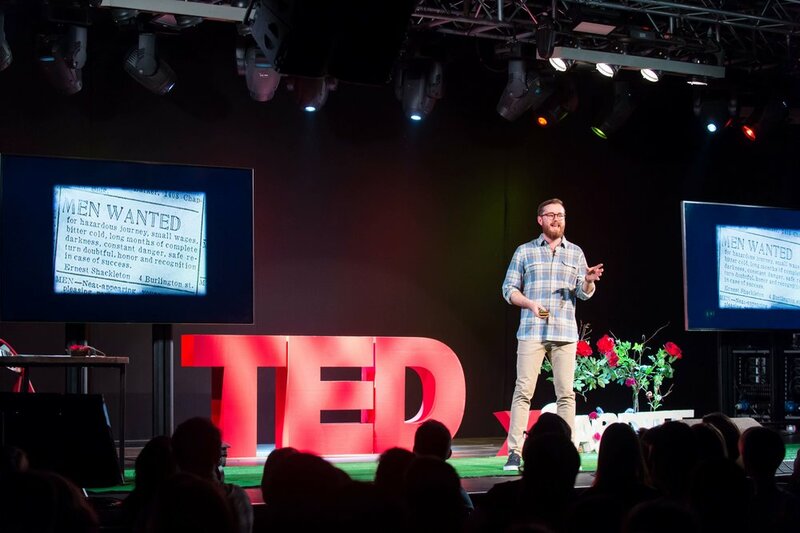 "If you're an entrepreneur or are thinking of becoming one, you'd be crazy not to check MARK'S TEDx talk." 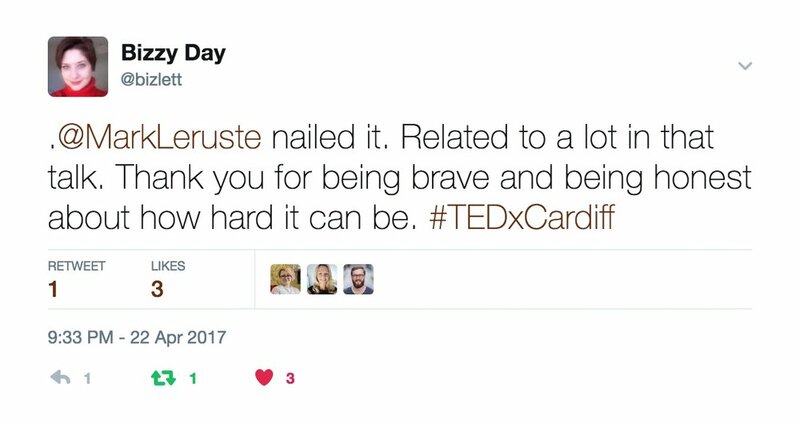 On the 22nd April, 2017, Mark had the honour to step on the main stage at TEDxCardiff (Creating Legends) to give his first TEDx talk: "The Power of Purpose". Five months of hard work culminated in a 15min talk in front of an amazing crowd of 500 people where he got to share his idea on why we all have a need to have a quest and find our purpose. Watch the video he made of the event with some exclusive behind the scenes footage! "one of the most enlightening ways of describing purpose. beautiful!" WANT TO BOOK MARK AS A SPEAKER?